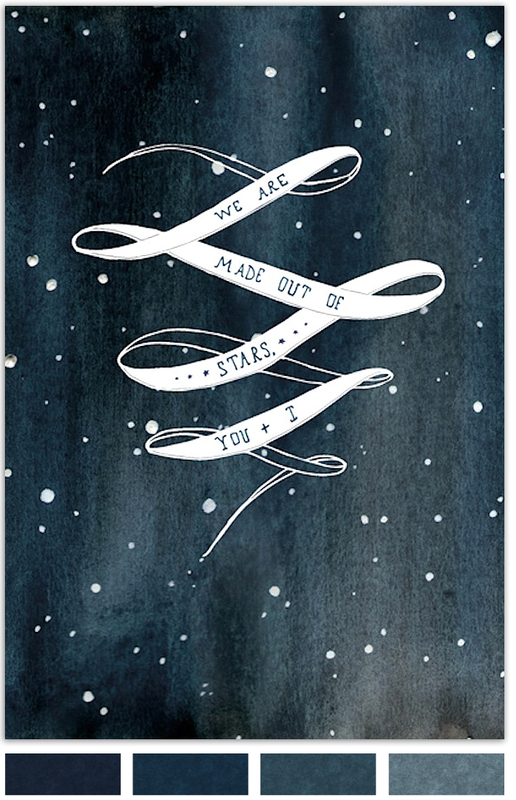 We are made out of stars by Meera Lee Patel (available for purchase on Society 6 and Meera Lee Patel's Etsy shop). I can't get over that perfect inky blue! More of her stunning art can be seen in her portfolio. Such a cute little message too. That's so pretty! I would definitely purchase it for my wall. Oh, that was really pretty!